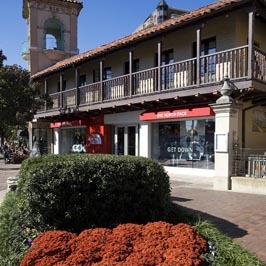 Located on the historic Country Club Plaza, an outdoor museum of romantic Spanish architecture and is the nation&rsquo;s first suburban shopping district. Our store is located near Neptune Fountain where you can enjoy shopping, restaurants and a local coffee shop. Free parking available in Houston's Garage directly behind the store (enter on Wornall, Broadway or 46th Terrace) and curbside parking along 47th Street (where available). Shop at The North Face Country Club Plaza for HIKING, WINTER RUNNING AND TRAINING, and SKIING AND SNOWBOARDING gear, plus high-tech apparel for all outdoor activities. Don’t let the elements keep you from experiencing new and exciting adventures, or comfortably getting where you need to be. Find great winter essentials on OUR BEST WINTER JACKETS, PARKAS, SNOW BOOTS, PACKS and more. Visit The North Face online or in-store to find performance apparel from our latest collections and winter essentials for the whole family.